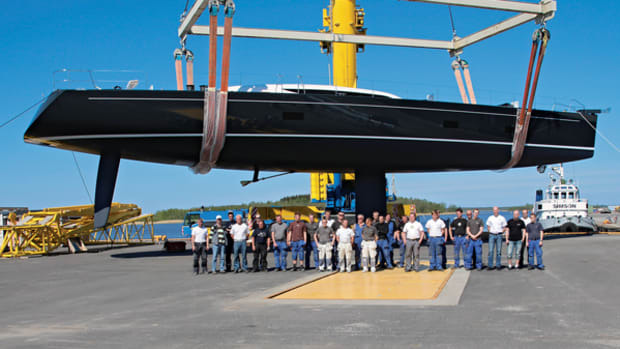 Crossbow marks Southern Wind’s third raised-salon model in the series. Designers and builders of sailing yachts greater than 100 feet (30.4 meters) are being tasked with creating vessels that not only are beautiful, comfortable and safe, but also achieve a high level of sailing performance. The proliferation of international superyacht regattas has upped the ante for owners who not only like their yachts luxurious, but also like to best their competition on the race course.